Dr. Lindsey Williams is the proud owner of Dental Oasis of Clayton. She received her Bachelor of Science in Kinesiology, with minors in chemistry and biology, from Louisiana State University in 2004. She then went on to earn her Doctorate of Dental Surgery from Louisiana State University in 2008. A member of the American Dental Association, North Carolina Dental Society, and the Academy of General Dentistry, Dr. Williams received the Excellence of Craniofacial Pain Award from the American Academy of Craniofacial Pain and was the recipient of the Baldridge Scholarship at Louisiana University School of Dentistry. She dreamed of building a practice where patients feel at home and her dental team that feels like they are part of a family. Here at Dental Oasis of Clayton, we strive to build relationships and are happy to say we are accomplishing her goal. Dr. Williams is committed to continuing education and completes trainings that exceed current requirements because she loves to learn. For example, in 2015, she completed over 250 hours of continuing education in dental implant placement and restoration training. She also diligently stays up to date with the latest dental techniques and technology. Born and raised in Baton Rouge, Louisiana, Dr. Williams came to North Carolina in June of 2008. 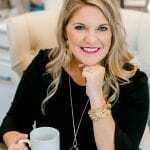 In her spare time, she loves spending time with her husband and two sons, as well as reading, traveling, and watching LSU and Saints football.